Weiner Scandal: A Victory for Women Leaders? The salacious sexting drama involving Rep. Anthony Weiner (D-NY) is the latest scandal to top the list of male politicians getting caught for their misbehavior. 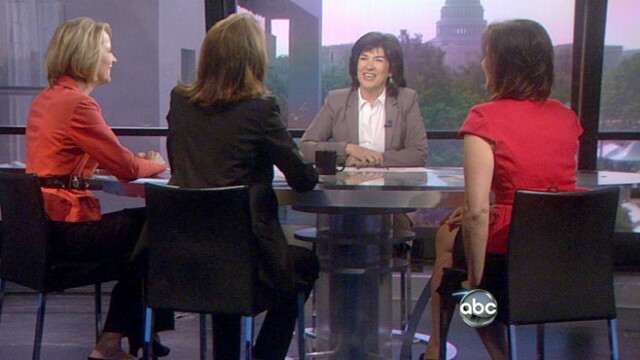 A roundtable of prominent women joined "This Week" with Christiane Amanpour to explore whether more women in positions of power would change this trend and the public sphere's culture. "The mentality has to change. The world is half men and half women. The government has to reflect the world," said Cecilia Attias, the former first lady of France who was married to Nicholas Sarkozy. Former Assistant Secretary of Defense for Public Affairs Torie Clarke said that with the prominence of such scandals, being a female leader can be an advantage in politics and the public sector. "Often women are seen as more honest, more sincere, as harder working," Clarke said. "This may be an opportunity for more women to step into those positions." ABC's Claire Shipman, co-author of "Womenomics", says there are numerous studies that show that a company with more women in senior positions will be more profitable. "In every decision, diversity leads to better decisions," Shipman said. "In other words, a group of all white men are not going to reach the best decision." Referencing a quotation from Debbie Walsh, the head of the Center for American Women and Politics at Rutgers University, Amanpour said, "The shorthand of it is that women run for office to do something, and men run for office to be somebody." "I think that's absolutely right. And you just listen to different members of Congress and how they talk," said Clarke. "The female members of Congress often say, 'this is what we're trying to get done. This is where we want to be five years from now.' Versus a male member of Congress who says, 'this is what I want to do.'" Weiner Scandal: Victory for Women Leaders?